1. 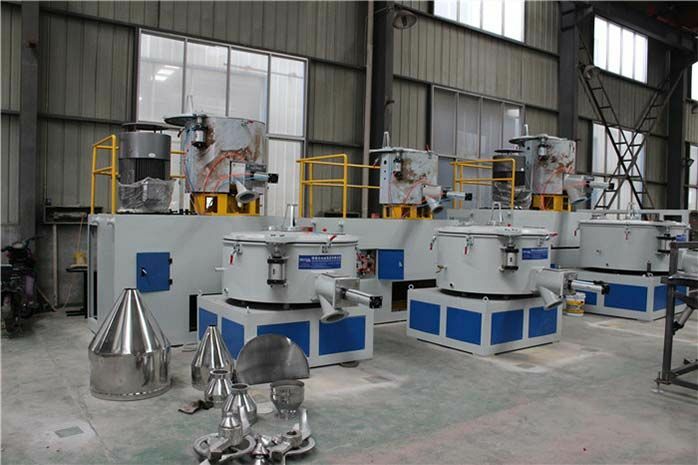 Plastic Sheet Production Line screw adopt the design special mixing material function and high plasticization capacity. 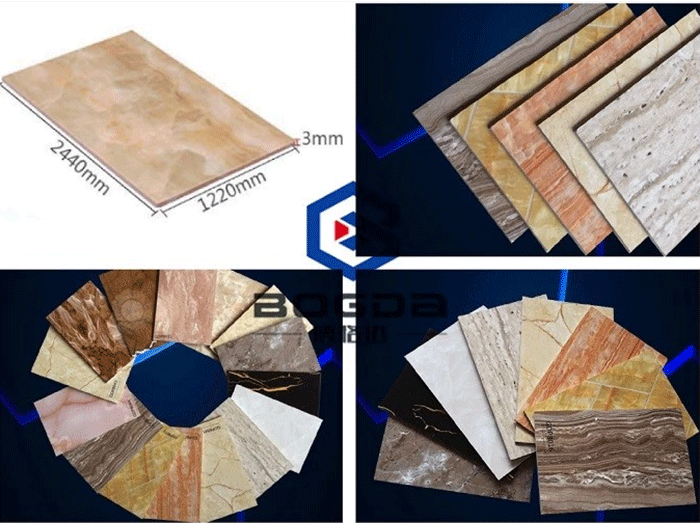 This guarantee the uniformity of plastic melting, coloring and high discharge. 2. 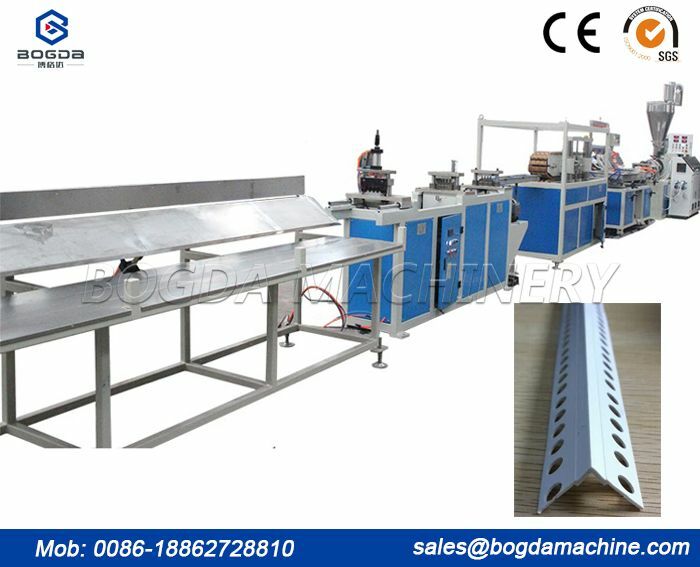 Plastic Sheet Production Line Mold head adopts throttling design(Cloths rack type), which make more precision of adjusting the thickness of sheet. 3. Plastic Sheet Production Line ±1℃ precision degree of temperature control, can control the plasticization process, thickness and surface smooth of sheet accurately. 4. 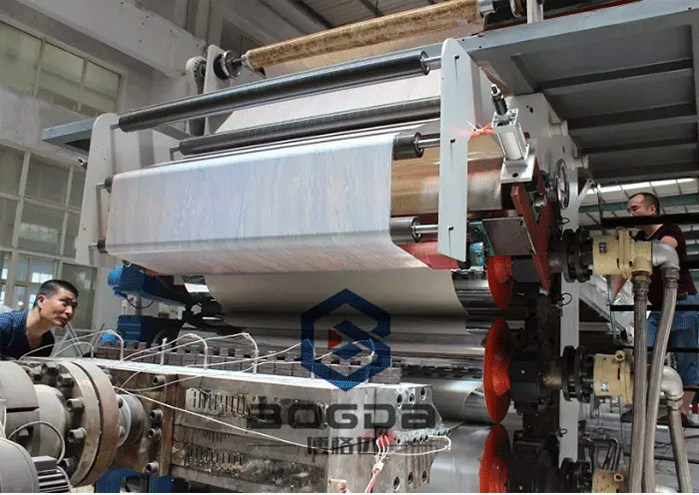 Plastic Sheet Production Line arrange of roller can be vertical, horizontal of free adjusting type, which can give more selection basing on different thickness of sheet. 5. Plastic Sheet Production Line screw adjusting and oil pressure press-roller double direction adjusting can control the thickness of sheet accurately. 6. 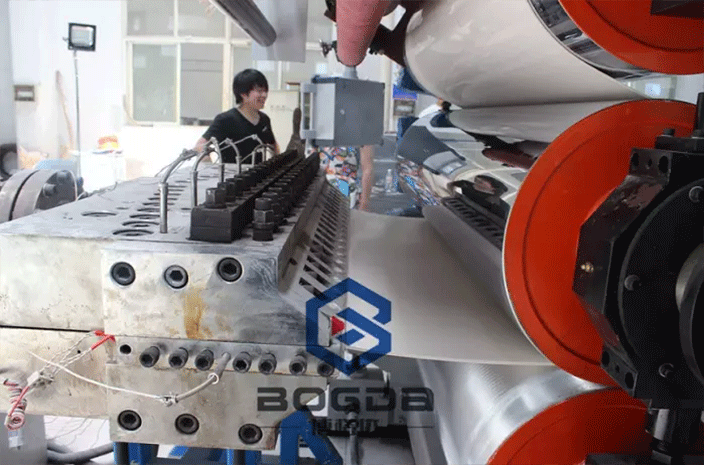 Plastic Sheet Production Line double loop cooling system and mold temperature controller are adopted to control pre-roller temperature, by which sheet thickness can be controlled accurately. 7. 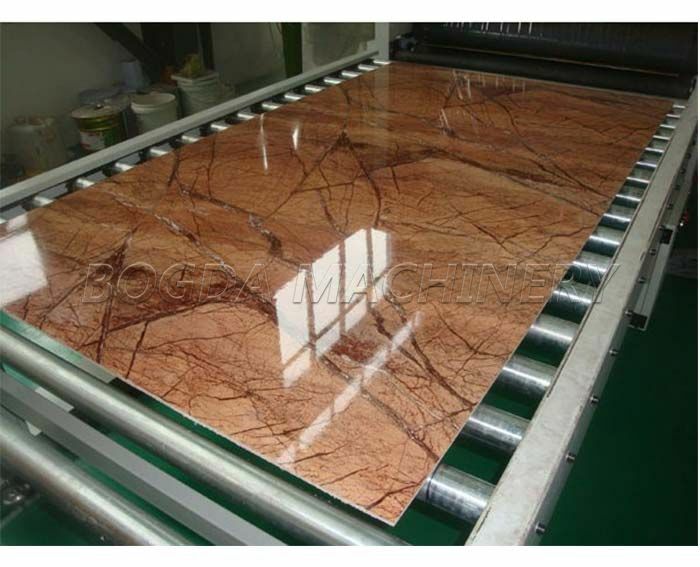 Plastic Sheet Production Line cutting machine can cut the sheet to get accurate length (2400mm). 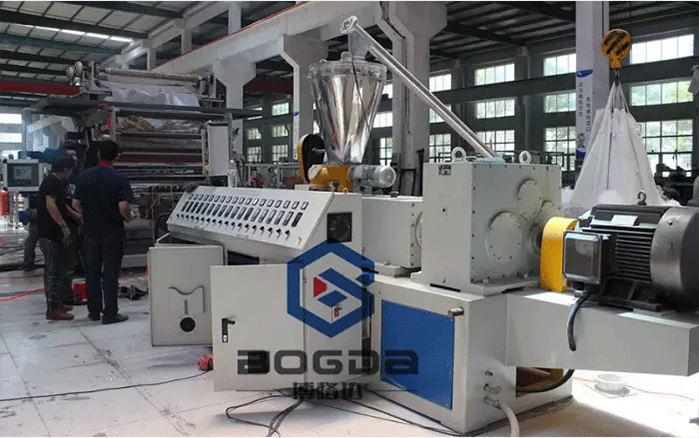 8.Plastic Sheet Production Line winder adopt high torque motor, which cooperating with four shafts automatic strain control can adjust the winding speed and winding strain to obtain smooth winding. 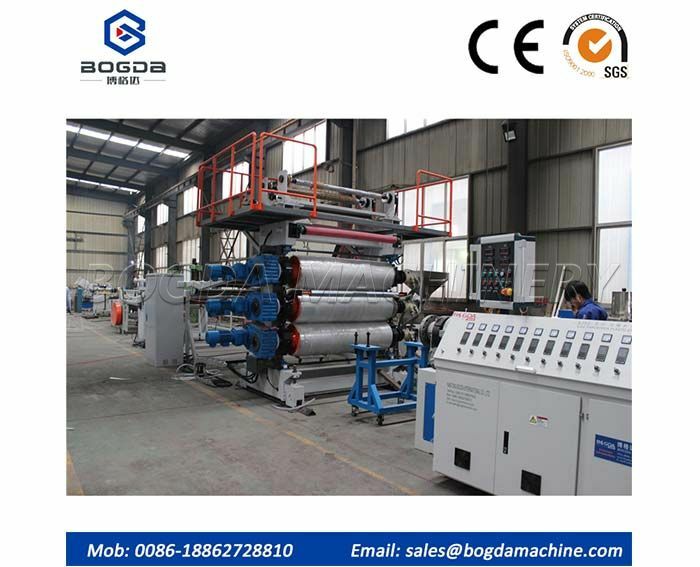 The slitting device can cut sheet free width. 9. Plastic Sheet Production Line automatic measuring meter instrument can set sheet length. 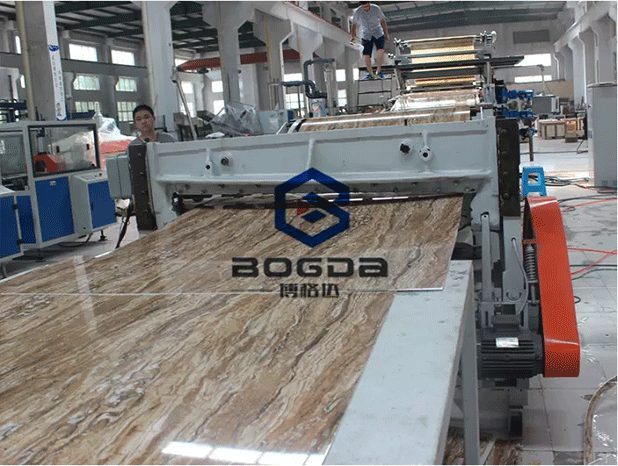 Plastic Sheet Production Line with the advantage of environmental protection, light weight, easy maintenance, no radiation, cheap price, popular decoration use in KTV, Hotel, Leisure facility, Home decoration, Hall, Meeting room, etc. 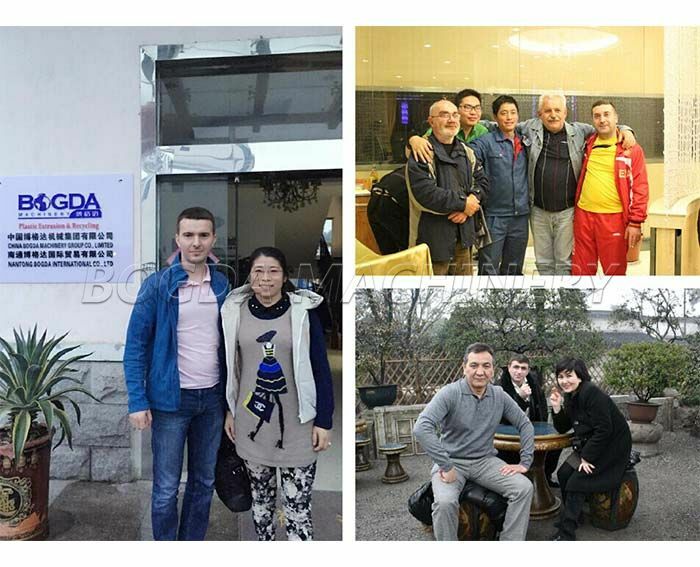 Our company have advance & rich experience in technology and skills, design and produce in Artificial Marble PVC Decoration Sheet Extruder Machine Line. 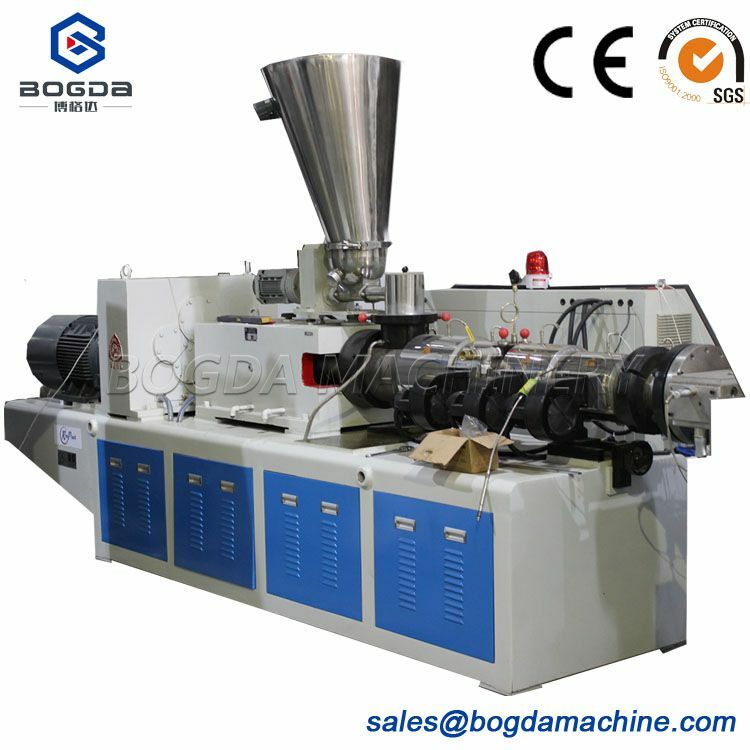 Plastic Sheet Production Line: Mixing machine → Material fedding → SJZ-80/156 Conical Twin Screw Extruder Machine → Mold → Three-roller calender (online laminating) → Colling group rollers → Haul off → Transversal Cutter → Edge cutter → Conveyor → UV treatment. 1. 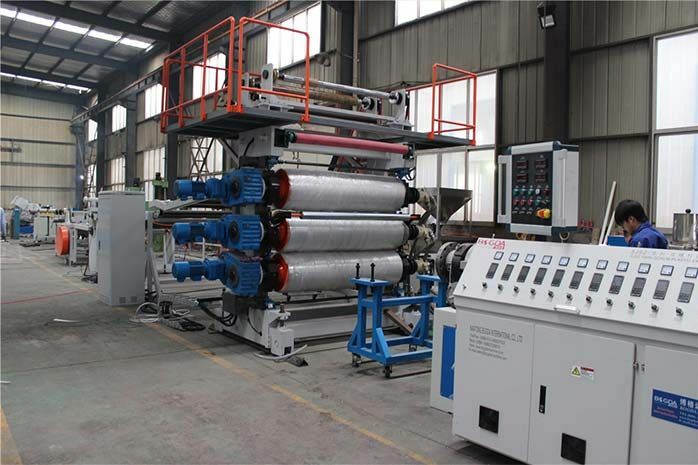 Plastic Sheet Production Line is a kind of special equipment for extruding PVC compound. 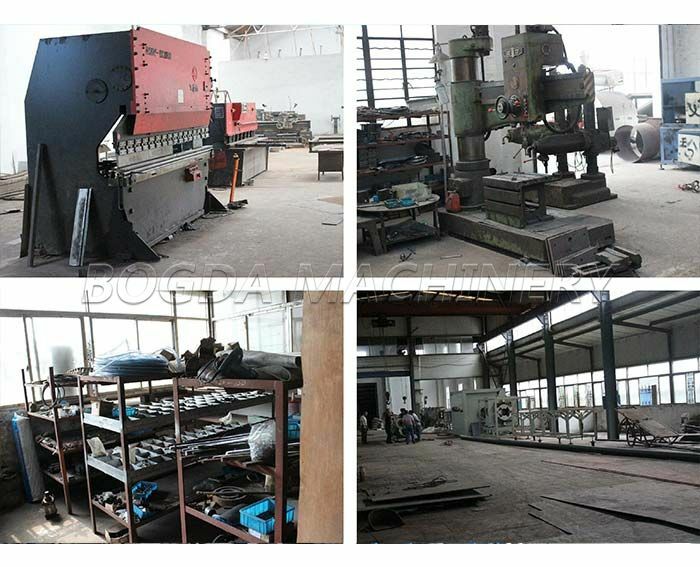 With different kinds of molds and auxiliary machines, it can produced all sorts of PVC plastic, profile, plate material, sheet material, bar material and granulation. 2. Plastic Sheet Production Line have applied oil cooling system. Barrel is cooled by special wind cooling system. 4. 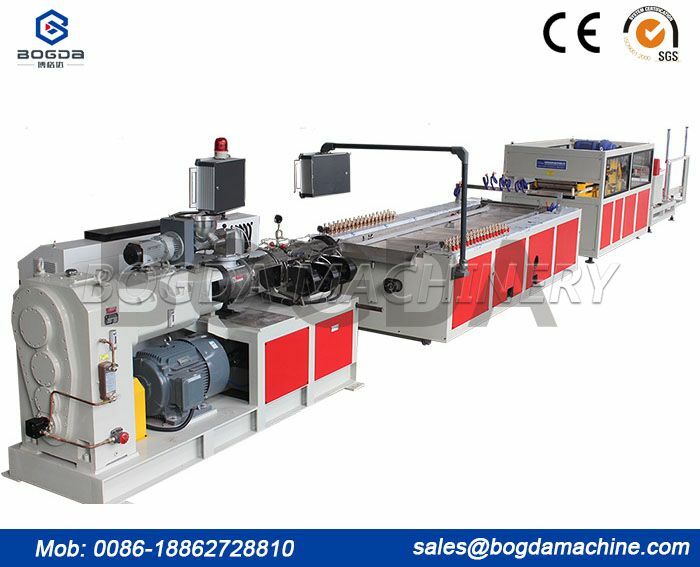 Plastic Sheet Production Line is made by high precision special digital screw miller; extruding property can be highly harmonized. It has firstly introduced advanced technique of producing screw with variable pitch and depth, so that the material can be more softly sheared and cut. 5. 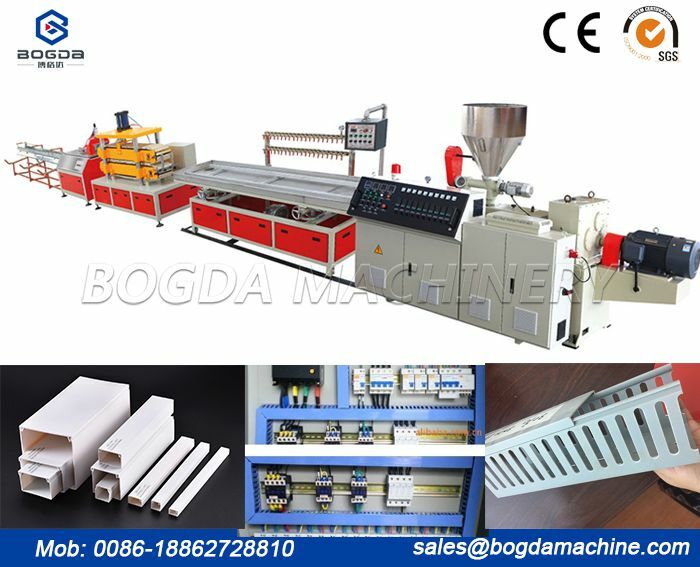 The distribution box on PVC Plastic Artificial Marble Sheet Extrusion Machine Production Line is specially designed, pull force bearing is fully imported, and the drive life span can be prolonged. 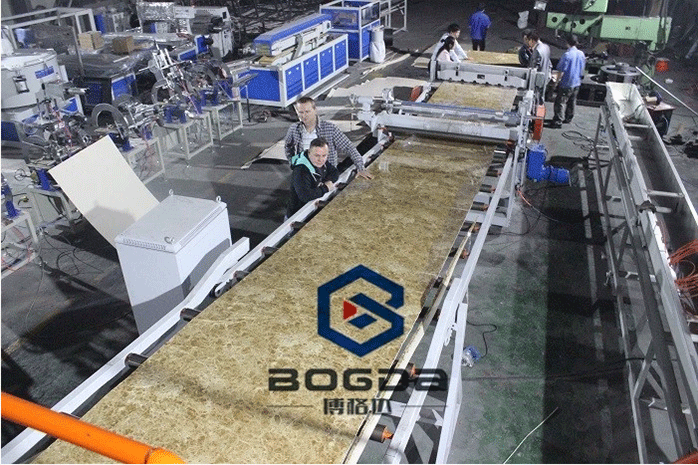 It can bear large extruding pressure. 6. 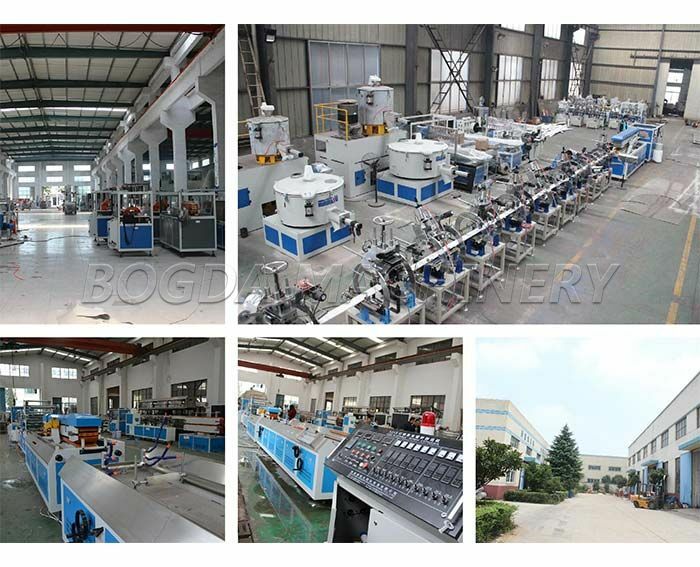 Plastic Sheet Production Line electrical system has mainly applied imported parts, it has multiple alarm system, and there are few problems which can be easily eliminated. 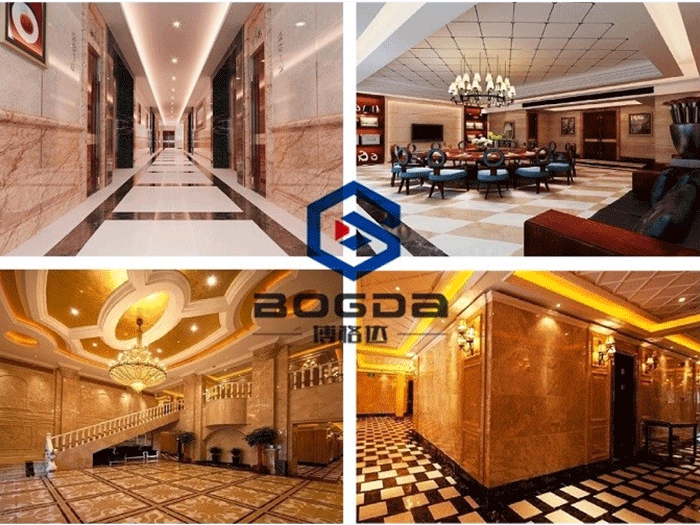 The cooling system has applied special design, heat emission area is enlarged, the cooling is rapid, and temperature control tolerance can be ± 1 degree.